Transformers star Jack Reynor leads an award-winning festival favorite. 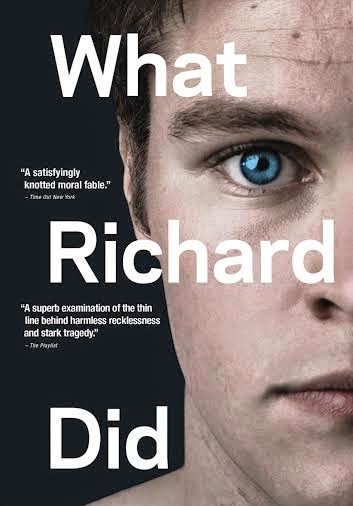 "Cinedigm (NASDAQ: CIDM) and Tribeca Film are releasing WHAT RICHARD DID on DVD on June 24th. Rated 94% Fresh on Rotten Tomatoes, WHAT RICHARD DID stars Jack Reynor (Transformers: Age of Extinction, Dollhouse), Róisín Murphy (Roadkill), and Sam Keeley (This Place Must Be the Place with Sean Penn). Directed by Lenny Abrahamson (Frank, Garage, Adam & Paul), the film was a festival success, winning 9 awards and 7 nominations during its run. Based on Kevin Powers’ critically acclaimed book Bad Day in Blackrock, this “engrossing and intelligent drama” (Guardian UK) is a disturbing study of a boy struggling with who he was and who he has become. Jack Reynor (Transformers: Age of Extinction) and Róisín Murphy star alongside Sam Keeley (The Other Side of Sleep, Misfits), and Lars Mikkelsen (The Killing) in this striking portrait adapted from Kevin Powers’ award-winning book Bad Day in Blackrock. The world is bright and everything seems possible forRichard Karlsen (Reynor), the golden boy of his privileged set of Dublin teens, until he does something that destroys it all and shatters the lives of the people closest to him." I have not heard of this movie but now I really want to see it. It must be pretty good to score that high on rotten tomatoes.